Synonymous with the word “diversity”, South Florida is the soil enriched by cultural influence, its inhabitants the roots underneath the foundation. A place as varied as it is stunning and a population bursting with passion, the pre-determined love for “The Beautiful Game” is not difficult to find in our own little geographic corner of the universe. On this very day, thousands of locals will hit the streets with emblems and shields near their heart attached to the shirt with the colors they hold dearest. The unrelenting commitment to club or country can be the greatest source of sheer bliss or utter misery for the dedicated faithful. Indeed, South Florida loves its soccer. However, the local scene is discreet at best as the audience remembers the past, struggles with the present and is hopefully optimistic for the future. 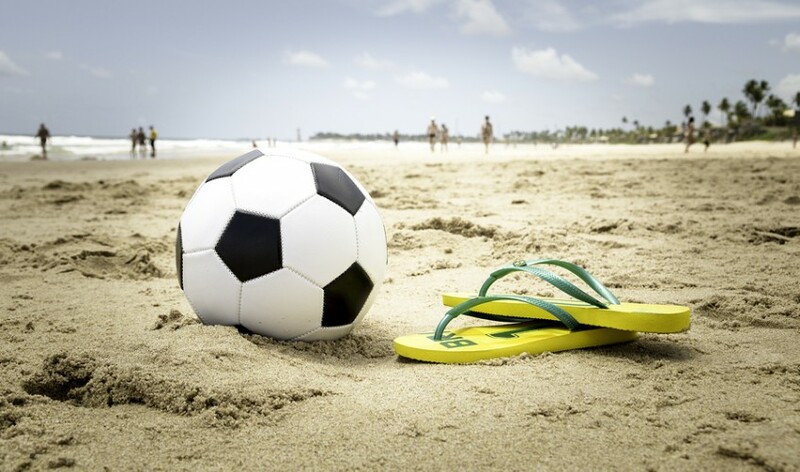 It isn’t difficult to support soccer in South Florida, a region lucky enough to be provided the principles instilled by former generations that have mostly migrated from nations where the sport is prevalent or simply come by it organically. The overwhelming exuberance for “futbol” is essentially outsourced and heavily focused outside of the domestic market currently. But, South Florida has enjoyed its days on the pitch. The crowds ensure the willingness to back a product they can be proud of; it is merely up to those in charge to provide it. First, the past. The premier domestic league in North America is Major League Soccer (MLS), this cannot be argued. It also cannot be argued that a league that was founded in 1993, but began play in 1996 is still very much young. The shortcomings of such a time sensitive product include the natural and gradual growth of the league with its players, the quality of play on the field, and the limited followers it hopes to increase. When the league began play, there were 10 teams participating. However, soon the league would look to expand. 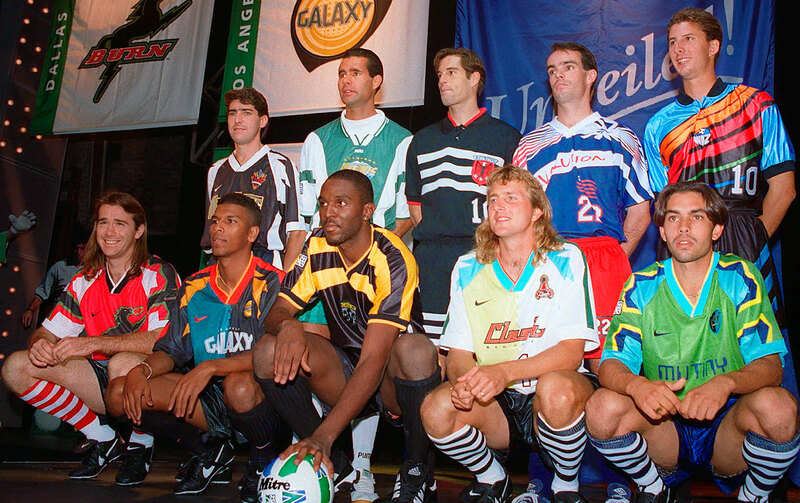 Miami received the opportunity to create such a faction when it was awarded the Miami Fusion FC in 1997. Miami Fusion FC existed on the field of play from the 1998 season through 2001. Seen as a franchise primed to succeed, Miami hosted its first match in Lockhart Stadium, Fort Lauderdale (current home of the Strikers) with an attendance north of 20,000. South Florida had its MLS franchise and even a Latin American star midfielder named Carlos Valderrama, a familiar face the residents could identify as one of their own. However, it would only get worse from there. The Fusion would go on to average a lowly 10,000 estimated attendance by the end of their first season. The lackluster play certainly didn’t help, but owner Ken Horowitz perennially struggled to find the financial resources the MLS had originally envisioned for the club. Following the 2001 season, the league decided to contract the Miami Fusion FC, along with the Tampa Bay Mutiny, citing a major loss in revenue during the MLS’ first five years aided by Miami’s inability to improve in ticket sales and draw in corporate sponsorships; an unfortunate end for a team that had just finished the season with the best regular season record and won the Supporters’ Shield under Head Coach Ray Hudson. Currently, South Florida sports two local teams in the North American Soccer League (NASL). The current reincarnation of the Fort Lauderdale Strikers and the newly formed Miami FC are two teams in what is recognized by the United States Soccer Federation (USSF) as Division II in North America. The relegation and promotion system is not in effect in North American soccer, but the lower leagues still prove to have a draw and certainly play their role into feeding the hungry regional markets. As aforementioned, the current version of the Fort Lauderdale Strikers that presently run around the iconic Lockhart Stadium site is not the same organization from the once-upon-a-time glory days of the late 70s and early 80s. Post Miami Fusion FC, soccer made its return to South Florida in the form of a United Soccer League (USL; Division III) team named Miami FC. The modern Strikers are that rebranded franchise established in 2006 founded by Traffic Sports USA. In 2010, the powers that be would decide to move the club to Fort Lauderdale, join the NASL, change the team name and explore the fertile grounds of a market familiar with such a product. The year 2014 would foresee the sale of the team to a trio of Brazilian investors. 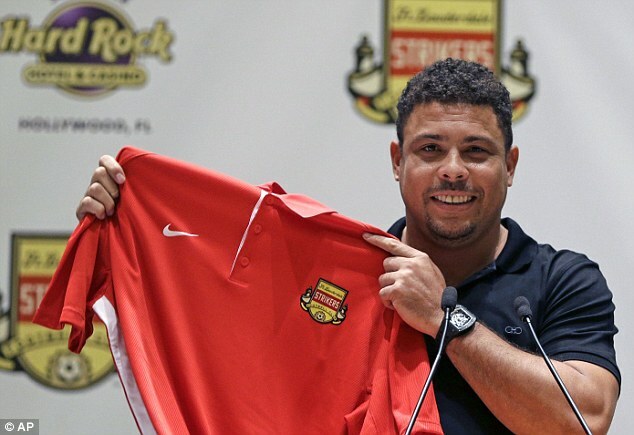 Paulo Cesso, Rafael Bertani, and Ricardo Geromel would later bring along the world-renowned Brazilian striker Ronaldo, forming the ownership group that controls soccer operations for the Strikers at the moment. Miami FC has a much shallower history as it was just formed in 2016. International entrepreneur Riccardo Silva and former Italian soccer superstar Paolo Maldini are the co-owners of Miami’s newest soccer franchise. Miami FC joined the NASL as part of the 2016 expansion of the league that introduced them and Rayo OKC in the spring along with soon-to-play Puerto Rico FC in the fall; San Francisco Deltas will also join the league in 2017. Including the involvement of Head Coach Alessandro Nesta – a former teammate of Maldini and former Italian superstar in his own right – along with Ocean Bank Field at FIU Stadium housing the squad, Miami hopes to spark the somewhat dormant interest in the nation’s south east. MLS is made up of 20 franchises. In an expansion effort that would extend the number to 24, Commissioner Don Garber expressed the league’s will to grant Miami the right to pursue a possible team pending on the ability to secure a legitimate stadium plan in the city. As part of David Beckham’s original contract in 2007 to join the LA Galaxy, the superstar United Kingdom native would have the option to explore and realize an expansion team at a discounted rate, and, in February of 2014, he announced Miami would be the place. Beckham, along with the rest of his ownership group (Simon Fuller, Marcelo Claure, and Tim Leiweke) have been working tirelessly to find the proper site for the would-be team. Following initial failed attempts including the Port of Miami, Downtown Miami, and even the land adjacent to Marlins Park, the ownership group announced Thursday March 24, 2016 it had finally secured a site in the Overtown area. The privately funded venue will begin the process of being built once certain approvals at the county and city levels are worked out. 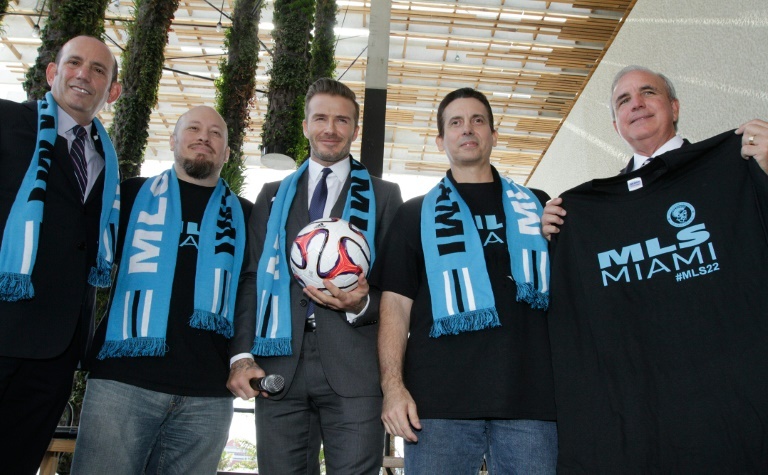 Miami is tentatively scheduled to join the MLS in 2018. One thing seems obvious, whether we realize it or not – what’s more – whether we embrace it or not, it is an undeniable fact that this is absolutely the golden era in South Florida soccer. The quality of organizational structure and viewing pleasure provided by the NASL’s Fort Lauderdale Strikers and Miami FC serve only as part of the reason. The recent growth in fanaticism and national pride in the local clubs and national team is proof of the overwhelming positivity in the movement. Add to that David Beckham, an international icon fighting to create a first class franchise of the world’s most popular sport in our own backyard, especially while taking into account the tremendous amount of improvement the MLS has seen in recent years. The present is good and the future looks better. Rejoice!